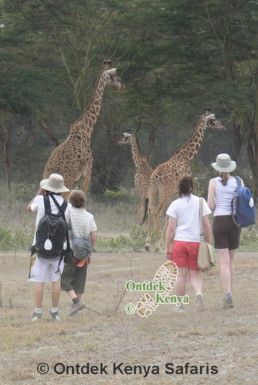 A cheap students tours itinerary that will keep your students group on their feet as they enjoy soft game viewing walks in Crater Lake and Crescent Island sanctuaries, Hell’s Gate National Park where there are guaranteed sightings of Giraffes, Waterbucks, Elands, Zebras and various Gazelles. 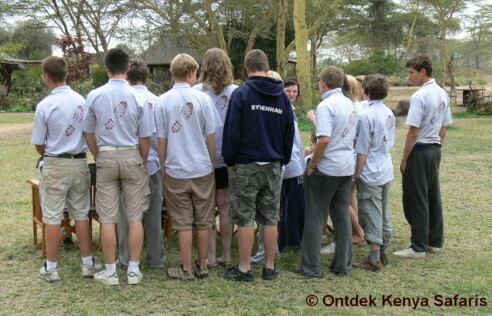 Go directly to the students safaris itineraries. In these areas they will be free from mass tourism, a commitment that Ontdek Kenya tries to achieve when designing students tours programs in Kenya. The students tour also goes to Lake Nakuru National Park, which is colored pink with thousands of Flamingoes, and the open grasslands are home to the White Rhino and the Rothschild’s Giraffe. The Black Rhinos are found in the forests around the lake. Masai Mara ranks high in students travel programs and it is the grand finale in this unique tour. 3 days here are for thorough exploration of the park as you look for Elephants, Lions, Leopards, Cheetahs, Topis and Hippos; all calling for our attention. A walk guided by Masai Morans makes this a perfect students tour in all senses. 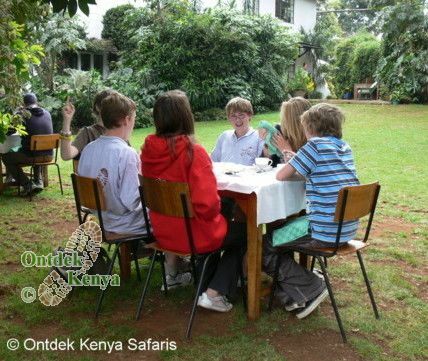 Contact Ontdek Kenya Safaris to customize this tour to suit your students travel need. Arrival at the airport, reception by Ontdek Kenya. Transfer to a hotel in Nairobi. We arrive at Elsamere, the home of the late Joy Adamson of the Born Free fame, in time for lunch. This will be the base for three days as we enjoy the activities in the Lake Naivasha area. The property is secluded with huge fever trees that stretch down to the lake's shore. After breakfast we do a short transfer to the Hell's Gate National Park. This is a unique park where walking is done in the middle of wildlife. Giraffes, zebras, warthogs and many types of gazelles are found here. The first part of this walk is done in typical flat African savanna in a volcanic area with huge rock boundaries. There are camphor and acacia trees all over and this is where to look for the giraffe as they mainly feed on them. A picnic lunch will be at a view point overlooking the gorge. The last part of the walk is done in the Hell's Gate Gorge by descending into a steep canyon with running water from geysers and wild vegetation. The climax of the day is in walking in the Side Gorge where the rocks have split to leave only a walking path. We climb back to the rangers post for transfer back to Elsamere. The nearby Lake Nakuru National Park is the oldest park of Kenya. It's not only known for its thousands of flamingos but also for the vast herds of buffaloes, tens of rhinos and cats like leopard and lion. Of the big five only the elephant is missing. We make a wildlife viewing drive around the lake and have a picnic lunch on a view point overlooking the lake. Afternoon transfer to the lodge where we'll stay for 2 nights. 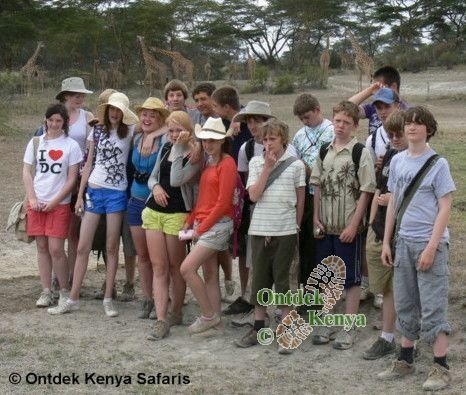 For a consultation on cheap students tours to Africa contact Ontdek Kenya Safaris.